When Cicada Rhythm hit the road in support of their 2015 debut, they were a homespun, stripped-down folk duo, armed with songs that mixed acoustic instruments and soft dynamics with the intimate charm of two harmonized voices. Three years later, bandmates Andrea DeMarcus and Dave Kirslis have upsized their sound considerably with Everywhere I Go. 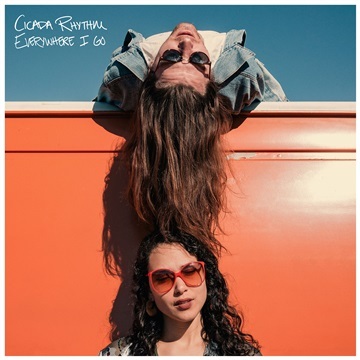 Recorded in a string of studios across the southeast, it's a snapshot of a band on the move, with new members filling their lineup and a louder set of influences propelling their sound forward. There are roots-rock tunes, slow waltzes, politically-minded lyrics, front-porch folksongs and backwoods ballads, all delivered by a group of road warriors who've cut their teeth not only in the writing room, but onstage, too. "In the beginning, we were two singer/songwriters making a living on $50 per show," says DeMarcus, a Juilliard-trained bassist who met Kirslis — her bandmate and future husband — when he hopped off a freight train and landed in her Georgia hometown. The two quickly whipped up a musical chemistry rooted in the steady pluck of DeMarcus' upright bass, the rootsy punch of Kirslis' guitar, and the raw blend of their voices. As romance blossomed between the musicians, so did a career. "We had to keep it a duo," DeMarcus remembers of their early days on the road, "because we couldn't afford to bring along anybody else. When we released our debut record, we started touring with a drummer, and the sound just evolved from there. We realized we needed to demand attention, rather than waiting for people at the shows to shut up." 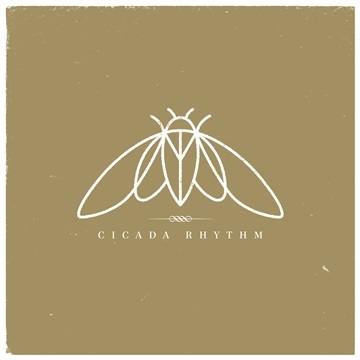 People did pay attention, taking notice of Cicada Rhythm's ability to merge both traditional and contemporary Americana sounds along with topical lyrics, which often touched upon modern issues like environmentalism. Among the band's biggest fans were members of two A-list Americana bands: Kenneth Pattengale, best known as the spellbinding guitarist and harmony vocalist of the Milk Carton Kids, and Oliver Wood, lead singer and guitarist for The Wood Brothers. When it came time to record Cicada Rhythm's newest batch of songs in 2017, Pattengale and Wood shared production duties, giving Everywhere I Go a broad, diverse punch. A sense of forward momentum sweeps its way throughout Everywhere I Go, whose very title conjures up the image of a band in transit. Kicking off with "America's Open Roads" and winding to a finish with the Bob Dylan-worthy "Back Home," it's an album written during a time of travel, of growth, of being together. Like interstate poets, DeMarcus and Kirslis write about the country unfolding outside their car window at highway speed, spinning stories not only about the places they visit, but personal and social struggles, as well. A wailing anthem for the women’s empowerment movement, “Do I Deserve It Yet?” takes a look at the modern woman's struggle in a man's world as DeMarcus cries out in the chorus, “Won't you tell me when I am enough? ‘Cause I can never tell.” “America's Open Roads” resonates similarly in today's climate of division and controversial leaders, with the emotionally hard-hitting opening line, "Every day starts with a terrible dream." Although written outside of political context, these songs took on new meanings once Cicada Rhythm began integrating them into their shows. "We were touring up the East Coast one week after the election, and the nation was visibly shook up," says Kirslis, who shares vocal duties throughout the record. "Suddenly, a lot of Andrea's lyrics seemed to have double meanings. The song is about keeping roads open, rather than build walls over them. As we began playing more and more new songs, they began paralleling some things that were going on in the outside world." Fans of Cicada Rhythm's debut will remember the socially-conscious "Do Not Destroy," an eco-friendly song that urged its listener to take care of the natural world. Much of Everywhere I Go follows in that song's footsteps, forming a bridge between the two records. "We're changing, but we haven't lost our sincerity," DeMarcus adds. "A lot of the songs are still political. They're emotional. They're raw, which has always been an important part of our sound. We haven't lost our identity; we've just grown around it." Producers Pattengale and Wood assisted in that growth by beefing up the band's sound with strings, Hammond organ, electric guitar, and pedal steel. Working with the producers separately allowed Cicada Rhythm to revisit and revise a number of songs that had already become live staples. "You can't underestimate the power of a fresh set of ears," DeMarcus says. "It's helpful to know what someone else thinks your song can be, particularly someone who hasn't heard the song nightly for the past two months. A lot of the time, collaboration is the reason something becomes better." Embracing Everywhere I Go as "a patchwork album," Cicada Rhythm tracked its 12 songs in recording studios, living rooms, and gospel churches throughout Tennessee and Georgia. Some songs were performed live in the studio and captured on analog tape, while album highlights like "Even in the Shallows" were tracked more methodically. String sections were added — a nod to DeMarcus' fondness for the Beatles, whose own songs often made room for symphonic arrangements — without taking away from the band's rustic charm. Together, the album's track list blends orchestral folk-pop and ramshackle roots-rock in equal numbers, giving Cicada Rhythm more fuel for their music-filled travels.